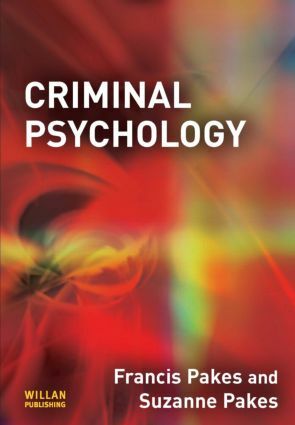 This book provides an accessible introduction to the increasingly popular subject of criminal psychology. It explores the application of psychology to understanding the crime phenomenon, criminal behaviour,solving crimes, the court process and punishment rehabilitation. It will be an invaluable resource for anybody taking courses in this field, in particular students taking the criminal psychology/forensic psychology components of the main A-level psychology specifications. The book is fully in line with the new A-level specifications being taught from September 2009. Each chapter includes case studies, keystudies, evaluations and a range of discussion questions. Apart from providing in depth and up-to-date knowledge on criminal psychology, the book is equally up-to-date on trends and issues in criminal justice today.